This brief* provides an overview of future climate change in Tanzania, using results from the latest available climate model simulations. 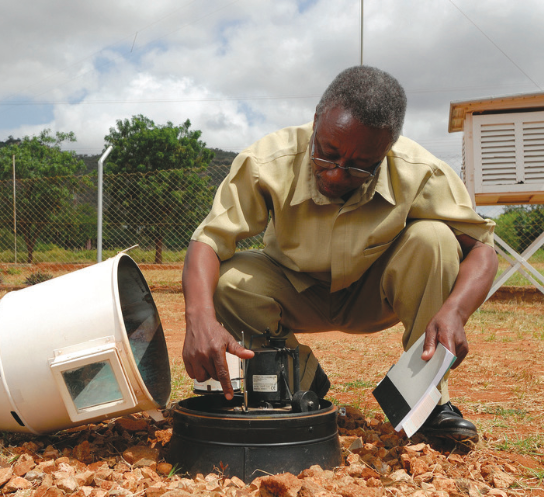 The UMFULA research team of the Future Climate for Africa (FCFA) programme has analysed 34 Global Climate Models (GCMs) that provide projections for Tanzania to try to distil robust messages and some key trends that may help planning and decision-making. Because each model simulates atmospheric processes slightly differently, they show a range of different outcomes for temperature and rainfall. The brief first presents a summary of recent observed rainfall and temperature variability. This is followed by an overview of the range of climate projections available from the leading source of climate model results. A detailed annex (available from the Further Resources section, below) describes the methods and datasets used in the brief and presents a wider range of figures for further reference. A two-page summary also highlights key findings (see Further Resources). This brief is not comprehensive and neither is it the only source of climate model results. It serves as an introduction to non-expert audiences with an interest or need to consider climate change in Tanzania. This brief complements the FCFA Guide: How to understand and interpret global climate model results. *Download the full report from the right-hand column. The text belwo provides key points only; see the full text for much more detail. Annual temperatures are increasing (warming is occurring). There is a lot of variability in rainfall amounts and seasonality (i.e. when the rain falls). Drying is discernible in parts of northeast and much of southern Tanzania, moderate wetting in central Tanzania, and stronger wetting trends in the northwest. In temperature, we see strong agreement between the models, implying that these are robust projections. By the 2040s, we see warming throughout the country. By the 2090s, we see a stronger projected trend for warming (Figure 1). Other things being equal, warmer temperatures are likely to increase evaporation from soil and open water. Summary of climate changes in Tanzania (figure 1 of the report). In terms of annual total rainfall, the models are highly varied (Figure 2). Out of 34 models, about a third show decreased rainfall, while two thirds show a possibility of higher rainfall – this means we have lower confidence in projections of future rainfall changes. Tanzania is highly diverse in its physical characteristics, and different parts of the country experience different climates at the present time. Country-wide averages disguise this geographical variation. Taking an average of the 34 models, we are able to see some differences in rainfall across the country, with projections suggesting that the north could become slightly wetter by the 2040s and the south slightly drier. For rainfall there is strong agreement for decreases in the mean number of rain days and increases in the amount of rainfall on each rainy day (the ‘rainfall intensity’). Taken together these changes suggest more variable rainfall, with both higher likelihood of dry spells and a higher likelihood of intense rainfall events (often associated with fl ooding). Changes in climate factors on daily timescales show increases in the mean number of days with temperatures more than 30°C (a threshold sometimes used to examine the sensitivity of maize to heat stress), consistent across all models. Proportions of climate models projecting small changes (less than 5%), drier and wetter conditions across Tanzania (figure 2 of the report). Climate projections are useful to consider in planning, particularly for activities that are sensitive to temperature and water availability, such as agriculture and hydropower. The high level of agreement between models on temperature increase means that we are confident in this projection. This has implications for planning. For example, promoting a crop that is heat sensitive and already near the margins of tolerance for growth is likely to be unsustainable in the long run. There is less agreement between models on rainfall, but there are some characteristics for which we have confidence. One is for a drying trend in October-November-December in southern Tanzania – a critical time, for example, for the agricultural sector. Awareness of this means that longer-term agricultural decisions can be planned accordingly to avoid crop failure due to reduced length of the growing season and/or water availability. Future Climate for Africa, 2017. Future Climate Projections for Tanzania. Tanzania: Sea-Level Rise and Impacts in Africa, 2000 to 2100. Application of the DIVA model to Africa.